This is the manual agenda of the company as a form of gratitude and part of corporate social responsibility program to share with the people who need, the orphans and dhuafa. 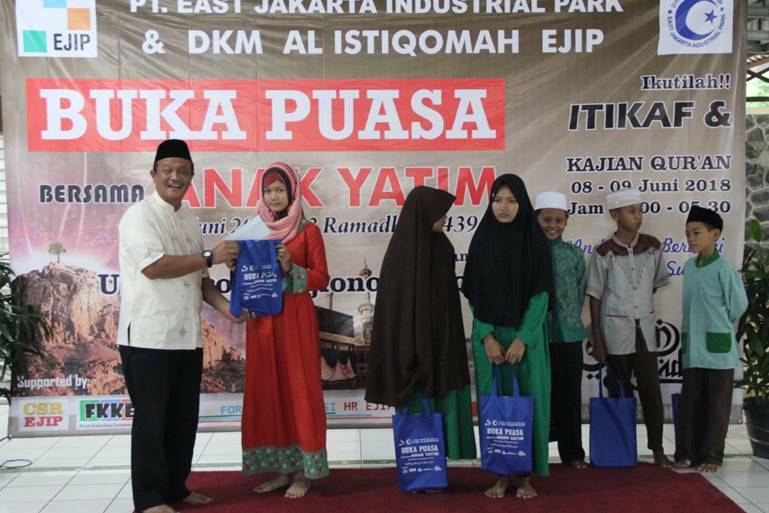 As the series of the fasting break program, other program also held for employee and community who took Itikaf (solitary worship) which is moslem usually doing kind of spiritual ibadah during the last 10 days before Eid. EJIP Fire fighting’s team implementing Corporate Social Responsibility (CSR) at Residential of Mega Regency, on Tuesday 29 January 2019.